The bath was first discovered and excavated 130 years ago, but was then quickly back-filled and poorly recorded. 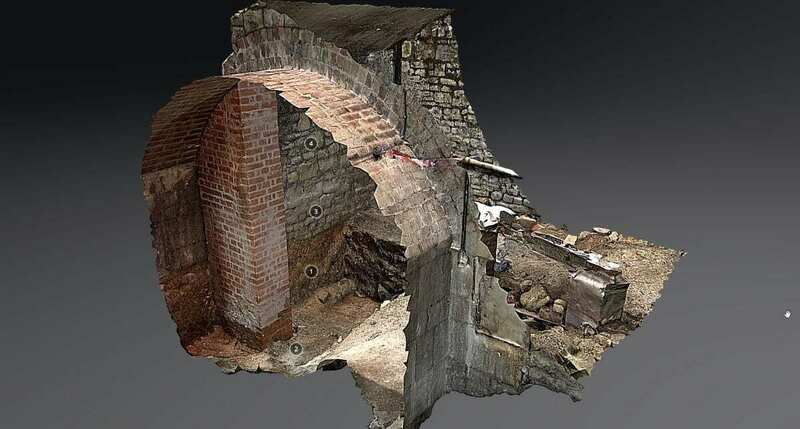 The excavation of the bath is part of a wider programme of investigation taking place as part of the National Lottery funded Archway Project, which is creating a new Clore Learning Centre for the Roman Baths and a World Heritage Centre for the city. The position of the bath means that it cannot be seen by visitors on a normal visit to the Roman Baths. Aquae Sulis was a small town in the Roman province of Britannia that is now modern day Bath. The Romans had probably arrived in the area shortly after their arrival in Britain in AD 43 and there is evidence that their military road, the Fosse Way, crossed the river Avon at Bath. Not far from the crossing point of their road, they would have been attracted by the large natural hot spring which had been a shrine of the Celtic Brythons, dedicated to their goddess Sulis.